In its Congressional Budget Justification for 2019, the BBG has laid out its plans for the OCB to ‘utilise alternate distribution methods’ and to exploit the increasing popularity of Facebook, Google and YouTube. These plans would involve the dissemination of propaganda through ‘non-branded’ and ‘native’ Facebook pages. While its Congressional Budget Justification does not specifically define what is meant by ‘non-branded’ and ‘native’, it is clear that it intends for the OCB to create Facebook accounts that resemble genuine profiles of Cuban citizens in order to spread disinformation. As these profiles would be created through the establishment of digital teams based locally on the island, the propaganda they spread would be more likely to reach the news feeds of Cuban Facebook users. The OCB intends to replicate this strategy across other social media platforms. 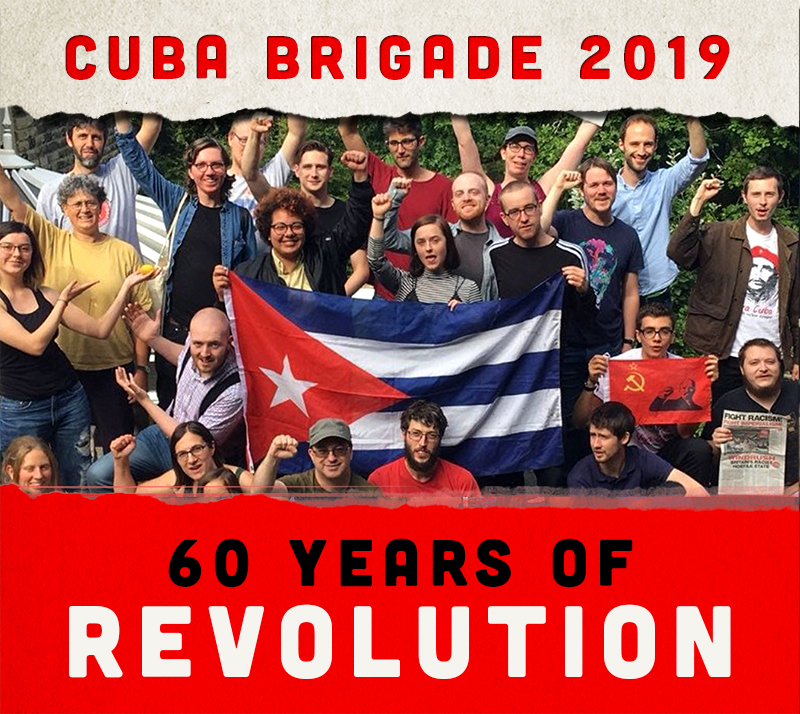 The OCB has long been at the centre of the US’s propaganda war against Cuba as it also directs the operations of Radio Marti and TV Marti (insultingly named after Cuban independence icon Jose Marti), both of which have illegally broadcast anti-Communist propaganda directed at the island since 1985 and 1990 respectively. Despite the fact that these stations have cost US taxpayers $800m, fewer than 11% of Cubans have reported ever watching or listening to Radio Marti or TV Marti and Cuban authorities have largely been successful in blocking their transmission signals. This failure to initiate regime change through the airwaves has led the US to change its strategy and focus its attention on the internet. As US politicians and media outlets hypocritically direct their anger at Russia and accuse them of using social media to interfere with political affairs in the US, the BBG has in fact been planning to use Facebook to interfere with Cuban affairs for at least two years as has been referenced in previous budget justification documents. When Nasserie Carew, a spokesperson for the BBG was asked what was meant by ‘non-branded’ Facebook accounts, she could not give a direct answer but stated, ‘it’s nothing nefarious’ and that it was ‘not like Russian trolling or anything like that’. The US has attempted to use social media to destabilise Cuba before including in 2010, by funding and launching a social media platform called ZunZuneo, which was aimed at the Cuban youth, but was exposed by the Associated Press as an attempt to disturb the country’s internal order through by promoting flash mob protests and other anti-government demonstrations. Since then, the US media has continued to disseminate articles with false information – or ‘fake news’ as it is popularly known – about Cuba, including the story last year about Cuba using ‘sonic weapons’ to attack US embassy staff in Havana (see FRFI 261). The US withdrew most of its embassy staff based on this pretext. The claims of injury from sonic attacks have since been challenged by neuroscience specialists around the world, including in the United States (The Guardian 14 August 2018). US internet giants such as Amazon, Facebook, Google, Apple and Microsoft continue to absorb smaller internet firms in order to dominate the online landscape. In Latin America, only 26% of the most popular websites are of local origin and of the 30% that are in the Spanish language, most are of US origin. The internet has become deeply intertwined with the interests of US capitalism and companies such as Facebook and Google can manipulate their algorithms to control what content their users can and cannot see, in order to influence every aspect of people’s daily life from their consumer choices, all the way through to how they vote. This can be done through targeted advertising that follows a user across websites, or through outright disinformation. The outcome of the ‘Brexit’ referendum, the referendum on peace in Colombia and the election of Donald Trump in 2016 may have been swayed by attempts at social media manipulation. We must oppose and expose firms that attempt to use the internet to create social upheaval in Cuba and other smaller countries in the interests of US imperialism. Quoting former Cuban leader Fidel Castro’s speech at the UN in September 1995, Diaz-Canel described the blockade of Cuba as a ‘silent atomic bomb’ that kills men, women, children and elderly people. The blockade has choked off the nation’s access to resources and capital vital for economic development for more than 55 years, costing Cuba more than $750bn (see FRFI 253). The 193 member states of the UN meet annually and have voted time and again overwhelmingly to lift the blockade. Last year, the only two nations to vote against this were the US and Israel. Showing solidarity with the Bolivarian revolution of Venezuela, Diaz-Canel also condemned the Trump administration’s sanctions against Cuba’s ally as a ‘new deployment of imperialist policy in the region’. As part of Diaz-Canel’s visit to New York, the Cuban President spoke alongside Venezuelan President Nicolas Maduro at the Riverside Cathedral in Harlem.